IndigoVision’s Software House 9000 Integration Module 3.4 is now certified with C•CURE 9000 v2.60! This integration module enables two-way communication between C•CURE 9000 access control systems and IndigoVision’s security management solution, Control Center. Alarm Integration into IndigoVision’s Control Center Management Software: Events and alarms from the C•CURE 9000 system are forwarded into Control Center, giving easy management of all systems in a single interface. Compatibility: The integration module supports Software House C•CURE 9000 v2.60 only. Camera Compatibility: All cameras supported by Control Center v15.0 are supported by Software House 9000 Integration Module 3.4. 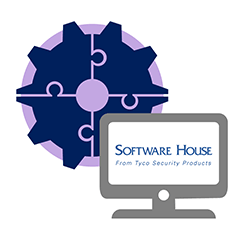 Download the latest Software House 9000 Integration Module datasheet here.